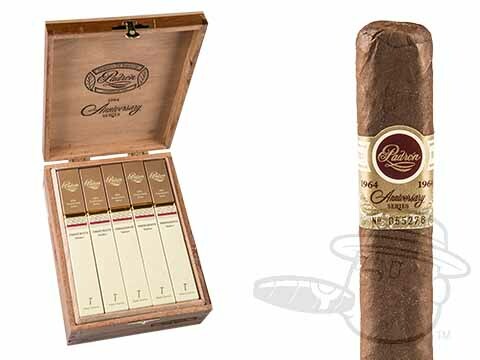 Padron Anniversario Serie 1964 was introduced in 1994 to celebrate the Padron family’s 30th year in business. Made with Maduro wrappers over a blend of tobacco that is aged for a minimum of 4 years, these are some of the best cigars on the market. Box-pressed construction allows for a perfect draw while masterful rolling ensures a straight burn, and the aged Nicaraguan tobacco in the blend makes for notes of wood, nuts, and spice with an unbelievably clean finish that earned the Serie 1964 a 95 rating from Cigar Aficionado.